This intensive, interactive 3 day workshop provides an overview of Design Thinking fundamentals. This workshop combines short instructional lectures, hands-on exercises, teamwork and real-world examples. We will cover four modules in total. Each module will include practical exercises where you will collaborate with a small team of peers to practice and apply what you have just learned. Real world case studies and examples will illustrate the concepts and complement our learning, and offer further insight into how Design Thinking can be integrated into different types of organizations and processes. You will leave with a practical framework for problem solving, methods you can immediately apply to your own projects, and a design toolkit for reference. Defining Problems: How to better define and solve problems through reframing. Learning from People: How to conduct qualitative user research such as customer interviews, contextual inquiry and observation to derive actionable insights based on market needs and consumer behaviors. Iterative design: Practice ideation, rapid prototyping, evaluation and refinement. Understand the role and value of both evaluative and generative user research. 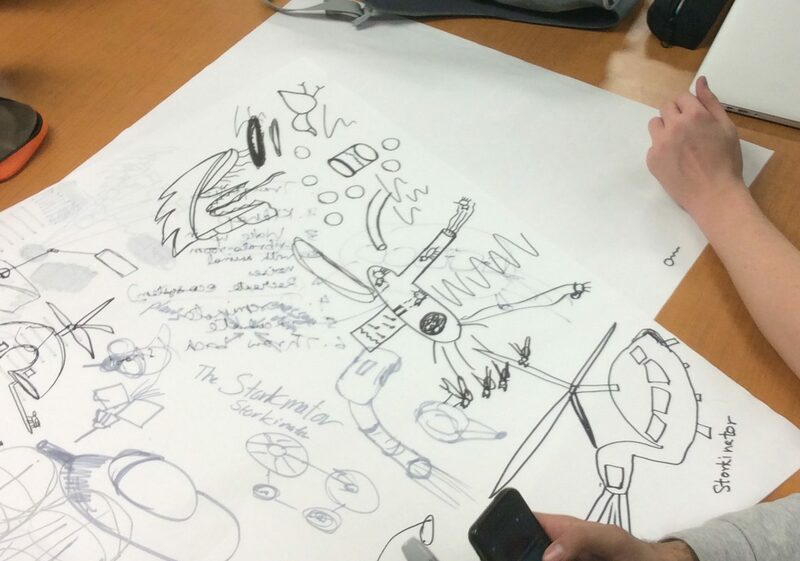 Art of Collaboration: How to effectively inject and generate creativity through guided brainstorming, co-design, visualization, and storytelling. Note: You do not have to be a designer or a “creative”- this course is designed for anyone interested in innovation, a customer-centered approach and iterative product development. Teams from the same organization who are tackling an organizational challenge may find it beneficial to take this workshop together.